Zhengzhou CamelWay Machinery manufacture is one of the large-scale enterprise specializing in construction machinery. The same type concrete batching plants has different rice. We warmly welcome worldwide customers to contact us to get the latest quotation. HZS series commercial concrete batching plant is composed of mixing system, aggregate supply system, metering system, control system and ancillary components. It is a forced type concrete batching plant series and has high production efficiency, available to producing a variety of concrete, such as plastic concrete, dry hard concrete, etc. It is widely used in large and medium-sized constructions, road and bridge engineering and concrete product plants, which makes it become an ideal device to produce commercial concrete. 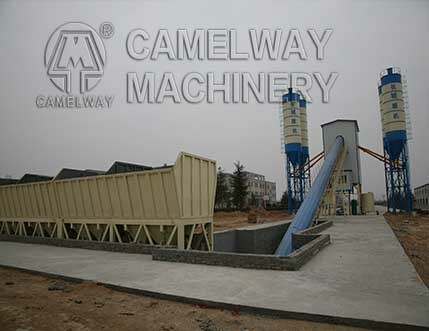 Zhengzhou CamelWay Machinery is specialized in producing various construction machines, such as concrete mixer, concrete pump and concrete batching plant. Welcome customers in the worldwide to cooperate with us. Which Type of Compulsory Concrete Mixer is Good?